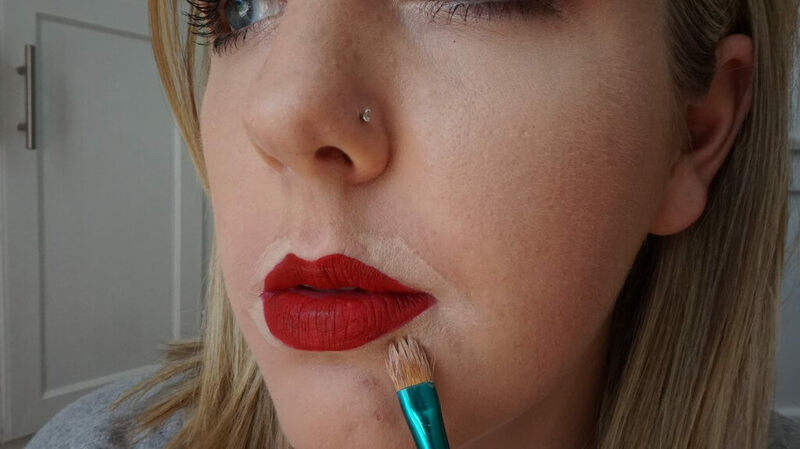 The infamous, trendy, yet beautifully classic red lip. 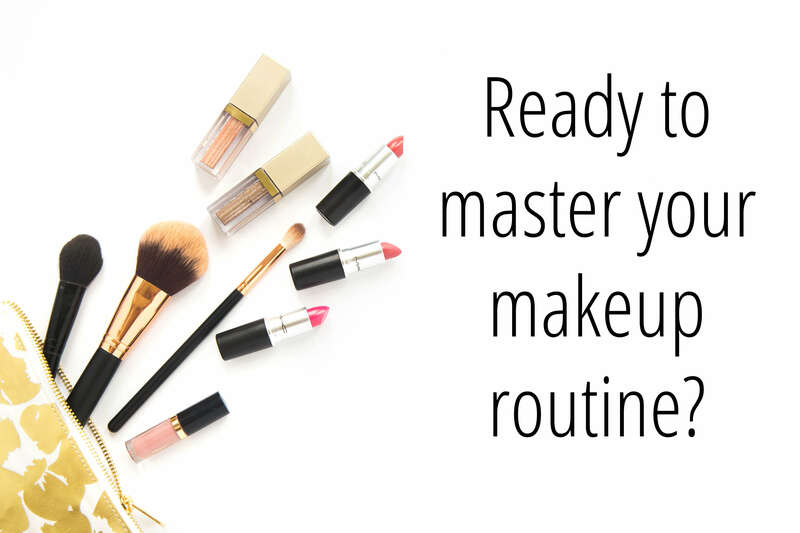 No doubt it is a coveted skill in the makeup world, and hard to master. There are also a million lip products out there that will look beautiful that I’m not even going to mention. If I wanted to include all of the best red lipsticks, liners, glosses, liquid lips, etc. that did the job, we would be here all day! 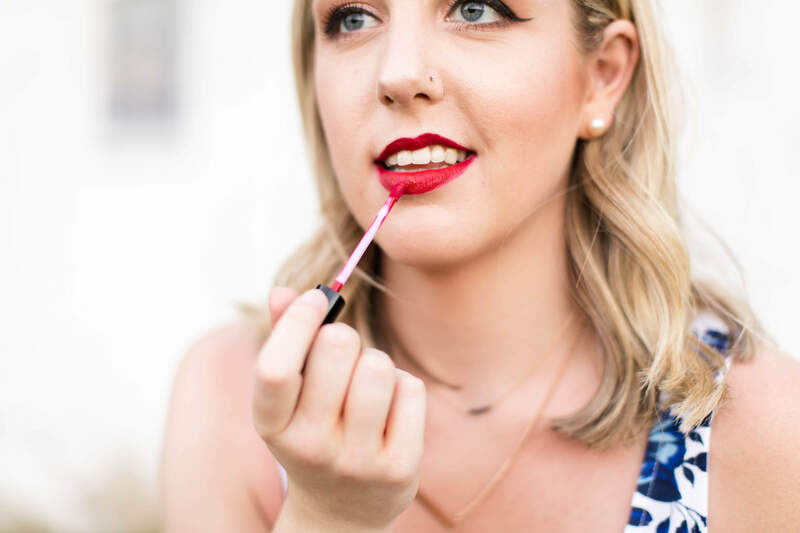 I am simply here to show you what works for me and how I am currently loving doing that classic, vintage-inspired red lip. One thing that is amazing about doing up your lips this way is the fact that it goes with any other makeup look. A red lip like this goes well with a vampy, smokey eye. 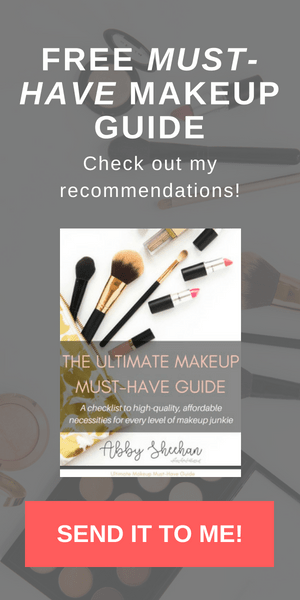 It also serves well to amp up simple, everyday makeup. I think a red lip is perfect during the winter time, especially around Christmas, to give you that fancy feeling during the holidays. However, I love to wear it at summer weddings and other summertime gatherings, especially when it brightens up my look that much more. 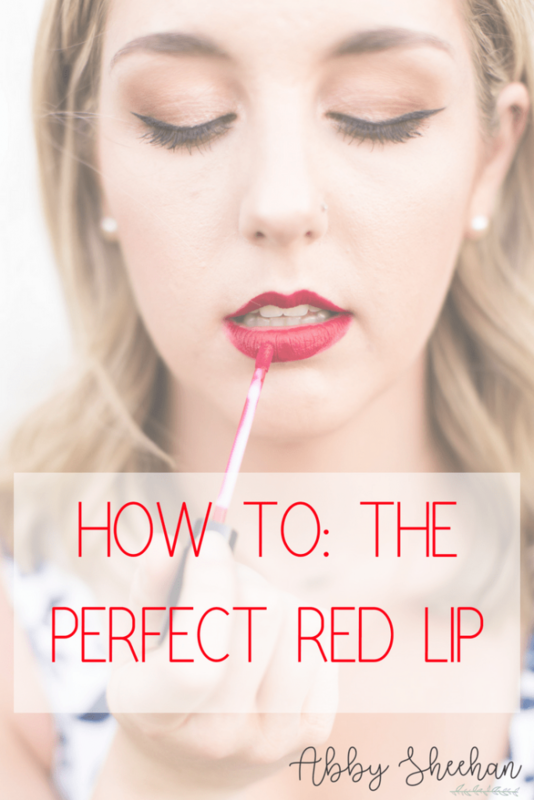 Without further ado, here’s how I achieve that classic red lip. My current favorite product is by Kylie Cosmetics. It is her matte lip kit in the shade “Mary Jo K.” On her website, Kylie describes this shade as a “true blue red.” A red shade with blue undertones gives a more classic red look, as opposed to other more coral reds with orange and pink undertones. I also love Mary Jo K for its classic, matte finish. I am seriously in love with matte lips! However, I will go into how to make this glossy in the end, if that’s your thing (which sometimes, it is mine). Other excellent lip scrubs are out there as well. I love the “Bubblegum” lip scrub from Lush. I have also used body and face exfoliators on my lips before when I am out of everything else. Just make sure not to get these into your mouth! I begin the actual process of applying lipstick with some simple chapstick. I use whatever I have on hand, usually Nivea or Kiehls (just a couple of my faves.) The product we are about to use will not apply well to my lips at all if I have not moisturized well first. A light layer of chapstick will ensure the pencil glides on seamlessly. 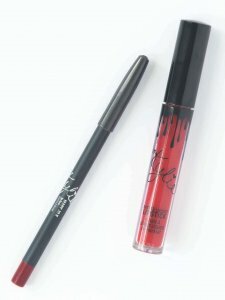 The awesome thing about Kylie’s lip kits is that you get the pencil and the liquid lip together, no need to search around for matching products! The lip pencil is where you want to start. Lip pencils apply a great base to your lips, to help your actual liquid lip apply smoother, and stay all day (kind of like paint primer does to your walls). I begin by lightly outlining my lips with a pencil, and then filling it in, like a coloring book. Some women may slightly overline their lips on purpose, in order to make their lips look bigger, or even out one side. If you want to do this, just be careful not to make it too dramatic. Stick with small, clean lines and you can slightly over-line where needed. Be careful, because the pigmentation on this pencil is seriously amazing. You barely have to apply any pressure to the pencil on your lips to have some epic color pay off. Now that your lips are filled in with the pencil, they are ready for the liquid lip. 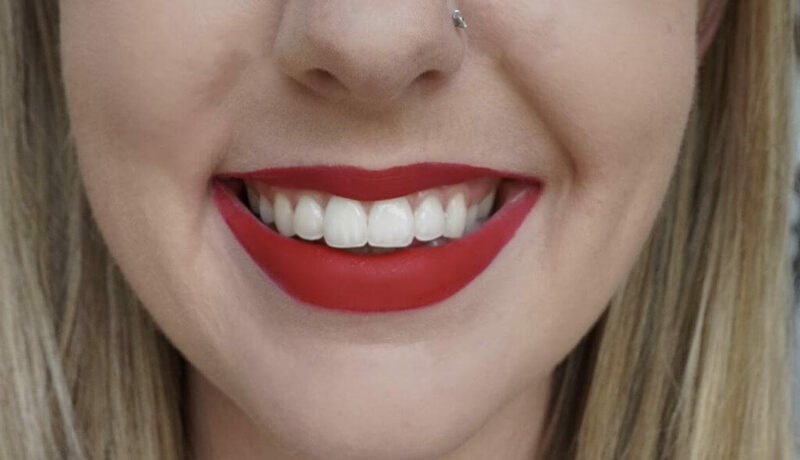 Again, if you are using different products, I would still recommend starting with a pencil and then move on to a liquid lip (like this one) or an actual lipstick. I carefully apply the liquid lip to the middle of my bottom lip, then lightly spread it around to the sides and my top lip. Be careful to just gently tap the wand on the outer corner of your lips (where your top lip meets your bottom lip). It is very easy to get messy and clumpy in the corners of your lips, so be cautious in this area. The way this product works, you now have to wait for it to dry to get the full, matte effect. Try not to rub your lips around during this time, like you might be tempted to do. Allow the product time to sink into your lips and dry thoroughly. Now is the perfect time to check that none has transferred to your teeth! Once the product has completely set into your lips, it will be virtually indestructible. I have worn this for hours on end before, and no amount of drinking or eating has budged my lip! I love how long it wears! I am a big fan of the matte, red lip. However, if gloss is more your thing, feel free to add one on top! A well-pigmented red gloss is hard to come by, but one of my faves is Mac’s Lipglass in “Russian Red.” This gloss is a pure shade of red, with blue undertones, just like Kylie’s “Mary Jo K,” so it will go perfectly on top of the colors you have already applied. I am currently all out of this beautiful shade, but I have linked it here. Gloss seriously can take your look to the next level! To fully sculpt out that perfect shape of your lips, I finish off with some concealer around my lips with a flat shader brush. I use the same concealer I use on the rest of my face, to ensure it matches. Put a little bit on the back of your hand, and carefully use a flat shader brush (I just use one I don’t mind getting concealer on), to carefully outline the shape of your lips. 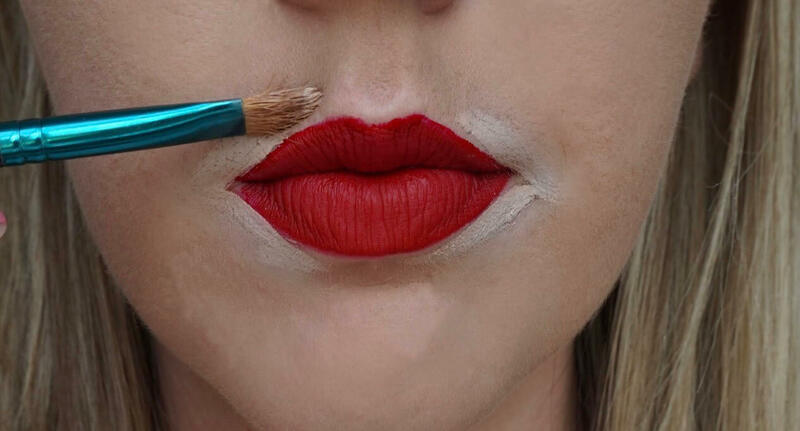 Carving your lips with concealer will make your lips pop even more and clean up any mistakes you may have made earlier. Just be sure not to get any concealer on your actual lip color, or it will smear and look a mess. If you did not apply gloss, this last step will help triple the longevity of your lip look and make sure they are ultra matte. Take a tissue, and lightly place it over your lips (make sure the product is all dry first). Then, lightly pat a pressed powder over the tissue, onto your lips. This part may look crazy, but something about it helps keep the product in place! Again, don’t try this if you applied gloss on top of your lips. Carefully remove the tissue once you have blotted the powder a few times. The powder I am using here is Maybelline Fit Me face powder (the same one I use on my face sometimes!). Any pressed face powder will do for this. There you have it! Your lips should make a statement, and last all night long! No amount of food, drink, or even kissing (hehe), should make these lips smear, smudge or move. Yay for color that lasts! 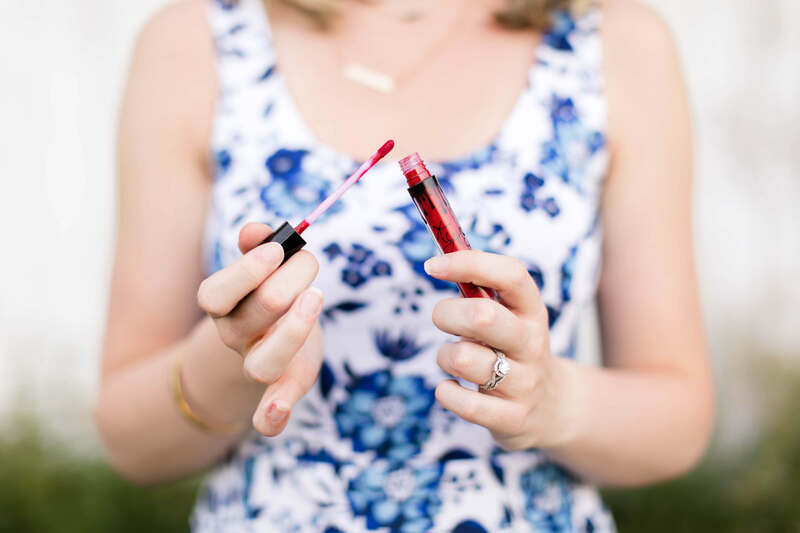 Please tell me any of your other favorite lip products, especially your favorite, go-to red! I love expanding my collection. Hey girlfriend! 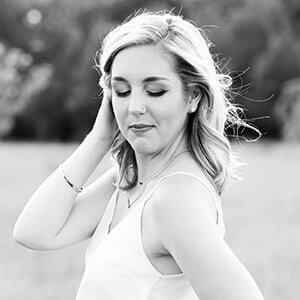 My favorite red lipstick comes from SeneGence for sure! It comes matte or glossy and lasts up to 18 hours. Oh nice! I’ve seen some friends selling them on facebook. Do you sell or just use them? I do! I’ll get in touch with you, but absolutely no pressure.